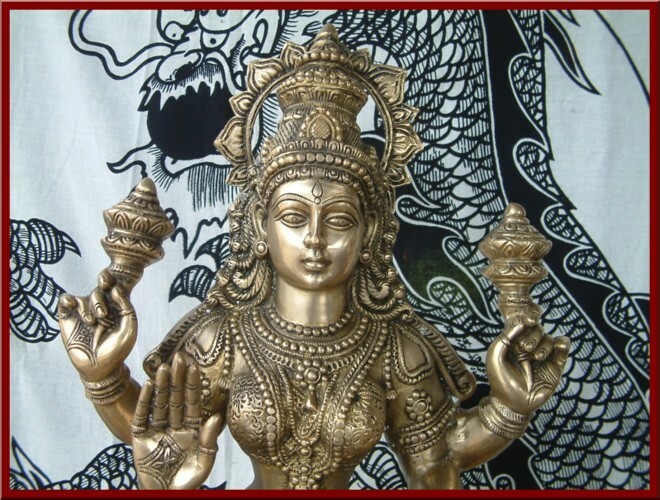 This Page is dedicated to Lakshmi - goddess of wealth and prosperity, both material and spiritual. 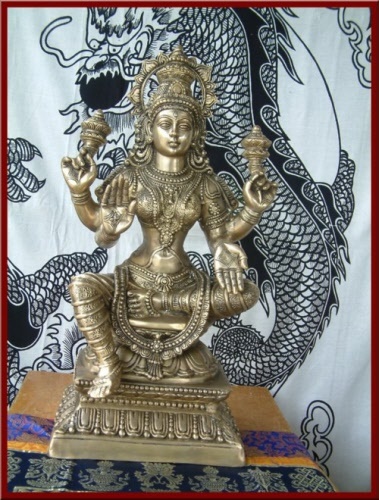 Lakshmi is the goddess of most Hindu families, Lakshmi means Good Luck to Hindus. 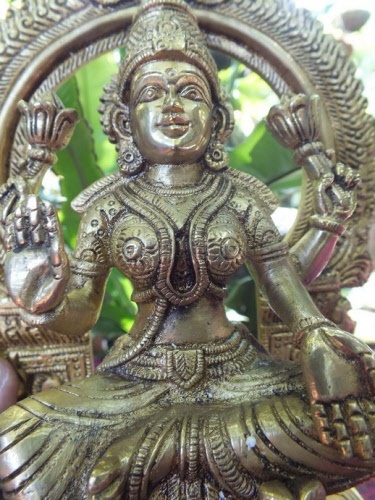 She is worshipped daily, and also in October. 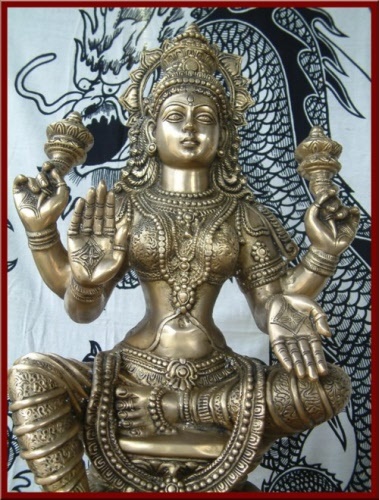 Lakshmi Puja is celebrated. 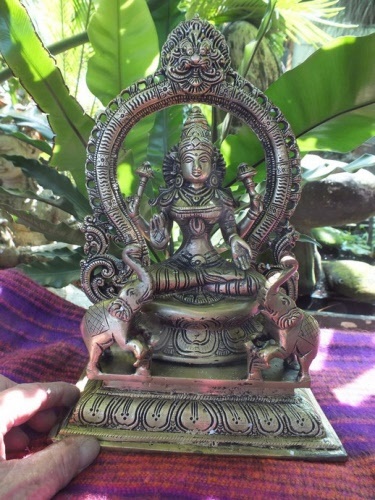 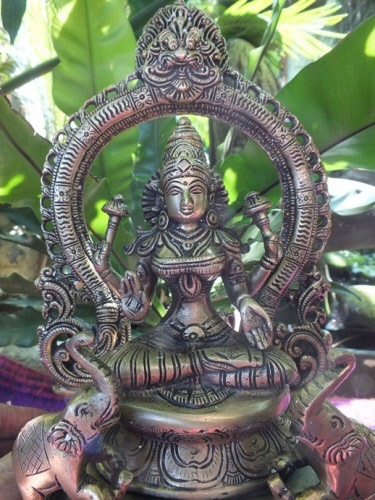 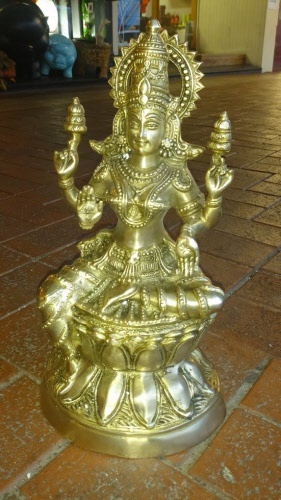 In this sculpture, Lakshmi sits in a posture of Padmasana on a lotus seat. 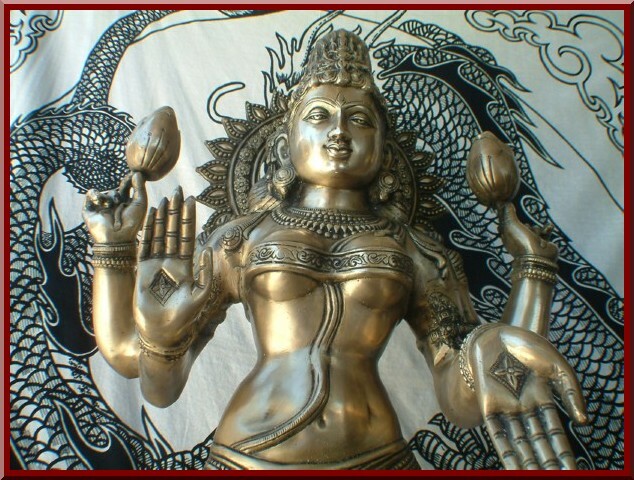 She is beautifully modeled and her body is decorated with much jewelery.. 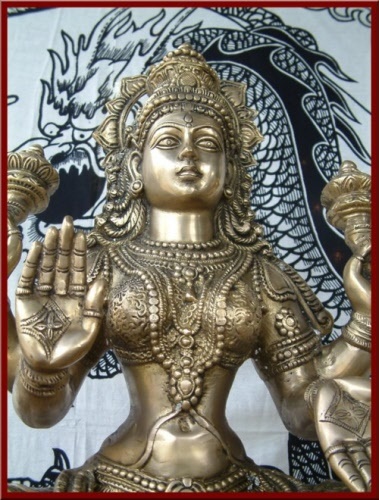 Her front two hands make the gesture of blessing and fearlesness. 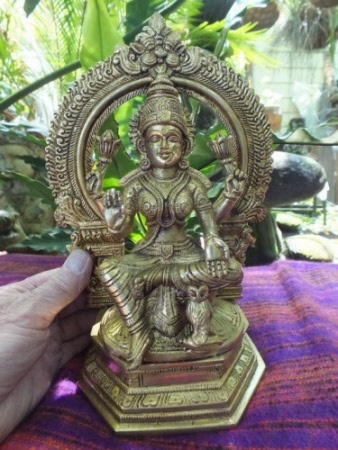 This image of Lakshmi is surrounded an elaborate niche (Aura) at the back which is a beautiful design and expertly carved. 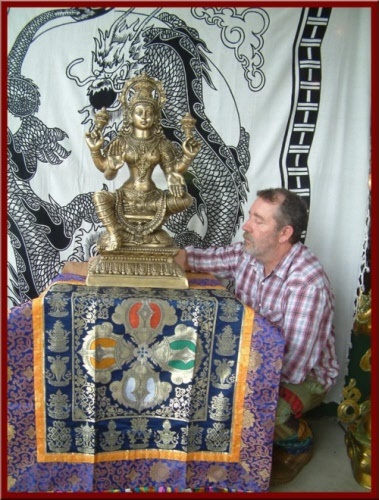 In the centre is the death mask, known as the devourer and symbolises the passing of time. 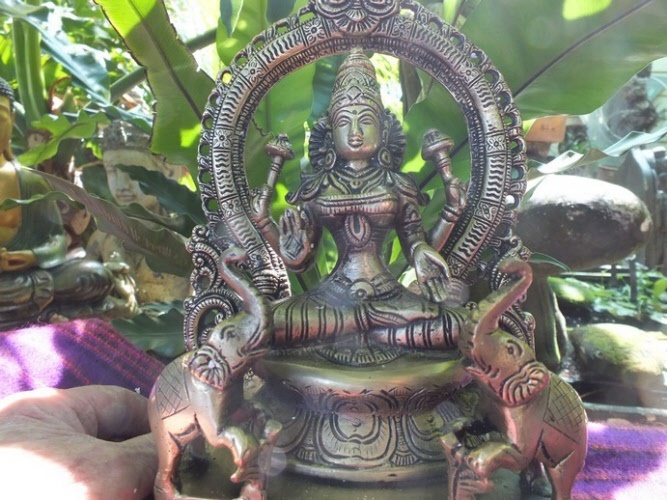 To finish the statue off there are two elephants standing with their trunks raised. 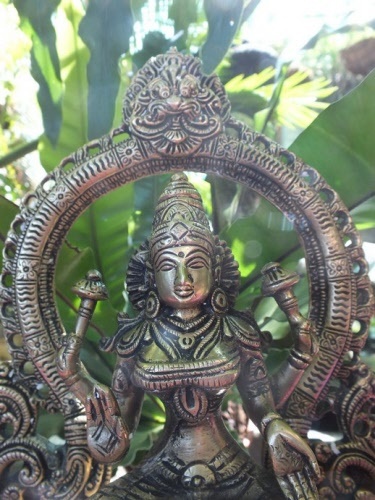 Click photo to see more images and detail. 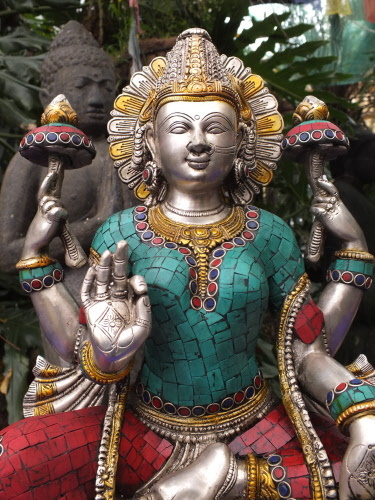 Lakshmi, the Hindu Goddess of wealth and beauty. 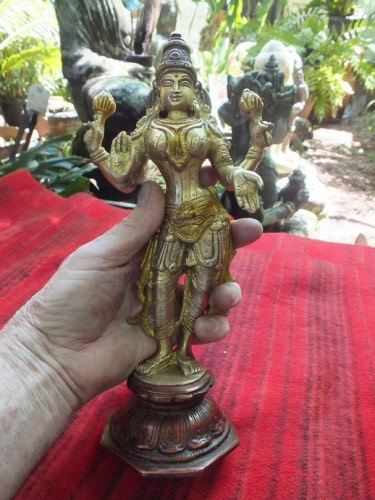 Here she is on a stand, she has four arms, cast in India by professional craftsmen and women. 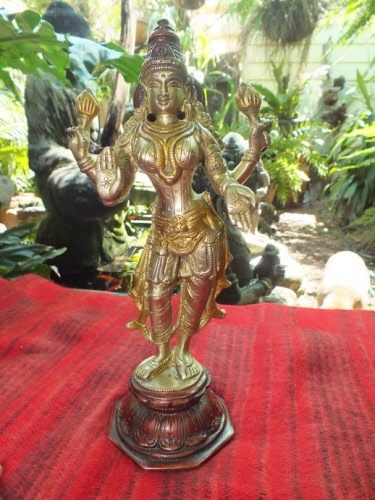 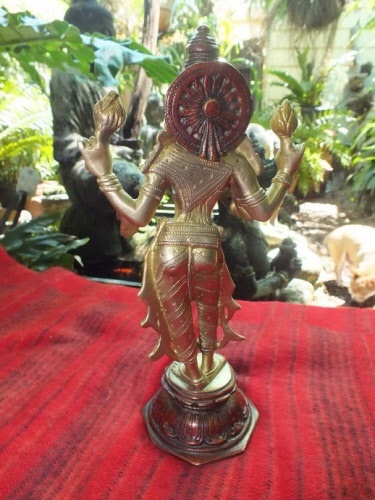 A new arrival in store this beautiful statue of Lakshmi seated on a lotus flower, she has four arms and is decorated with red coral and turquoise. 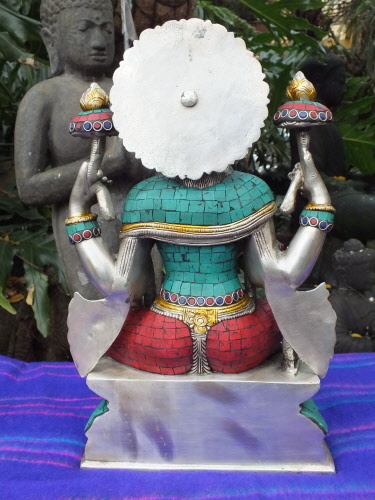 The first one we have ever seen like this. 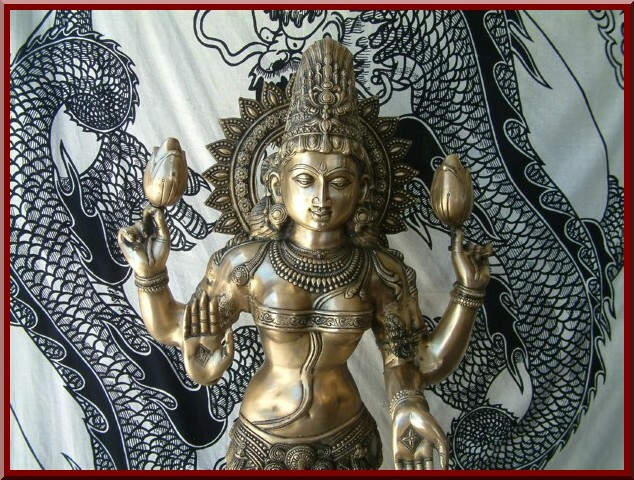 Lakshmi - goddess of wealth and prosperity, both material and spiritual. 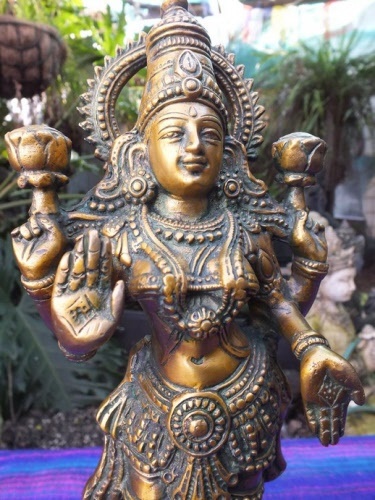 Fastway courier delivery to Melbourne, Brisbane or Sydney is $20.00 ONLY! 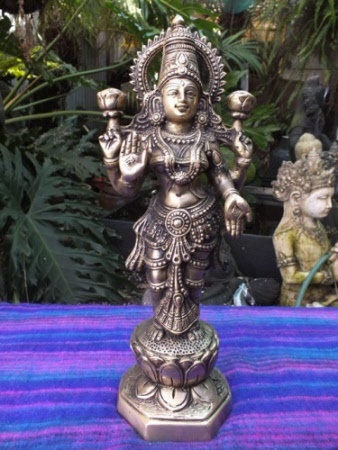 Cast in India using the "Lost Wax Process" handed down by generations of Indian craftsmen & women. She is the Hindu Goddess of Wealth and Beauty. 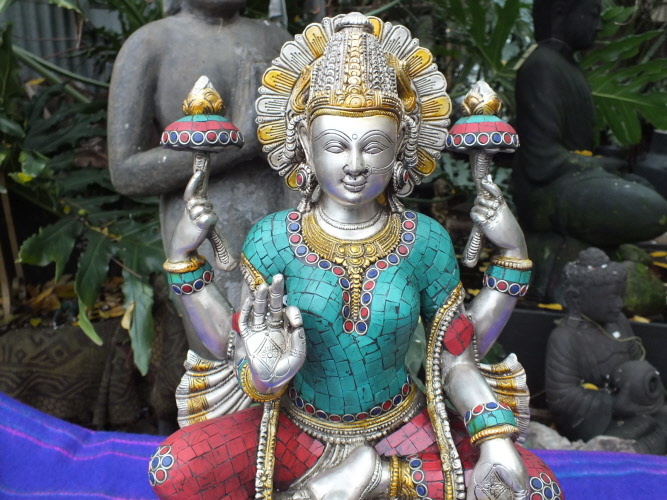 Here she is decorated in beautiful clothing and jewellery. Beautiful Lakshmi in seated blessing posture Cast in India using the "Lost Wax Process" handed down by generations of Indian craftsmen & women. 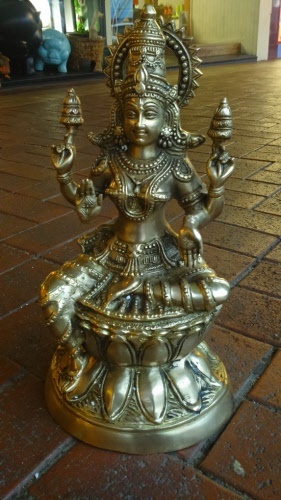 She is the Hindu Goddess of Wealth and Beauty. 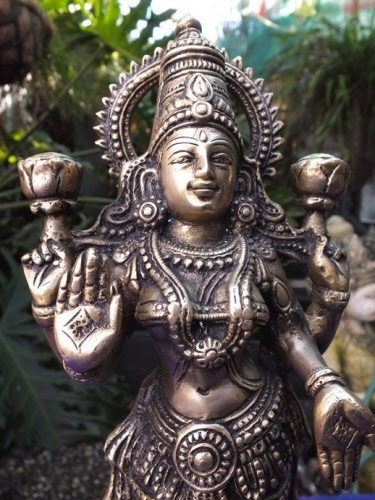 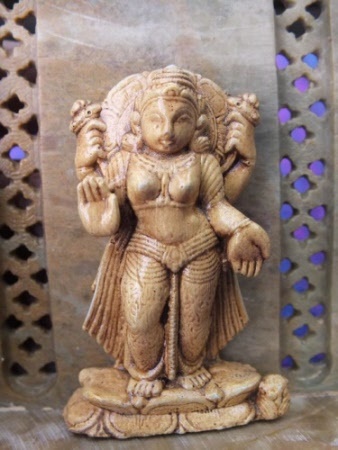 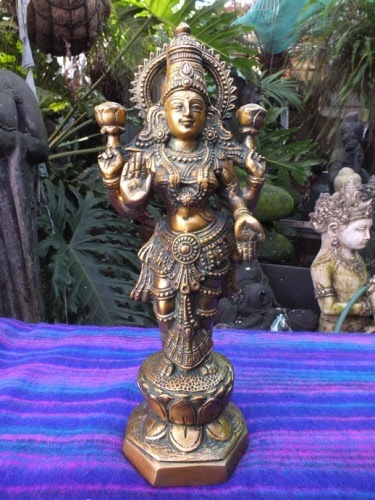 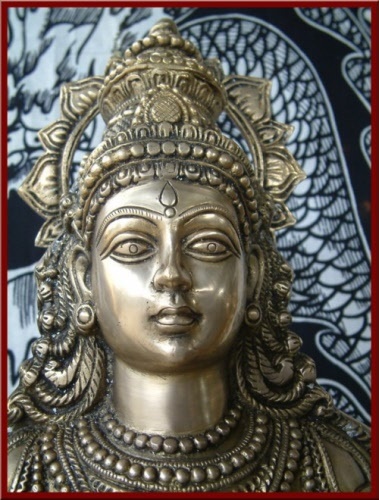 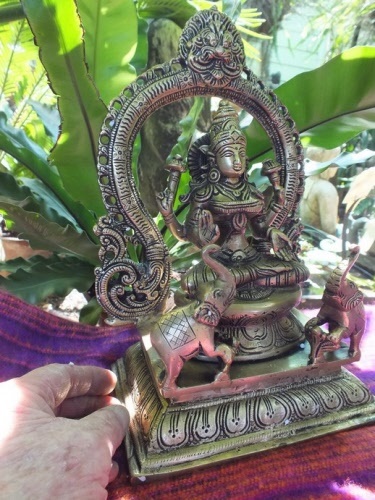 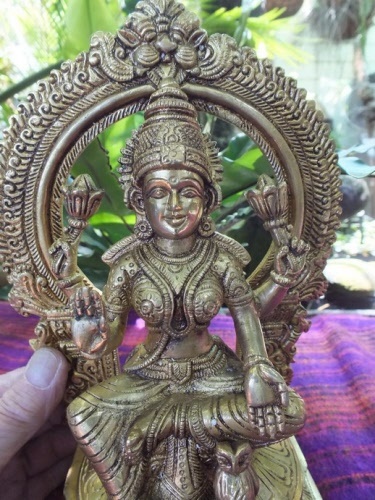 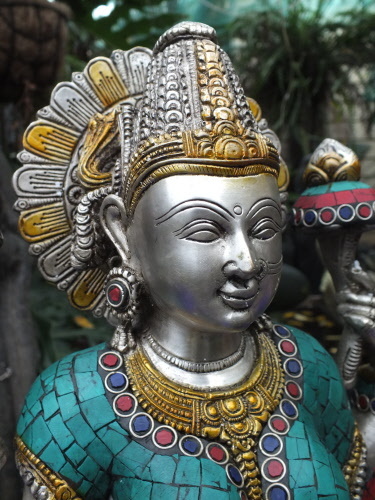 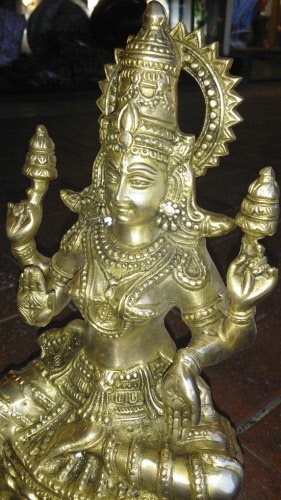 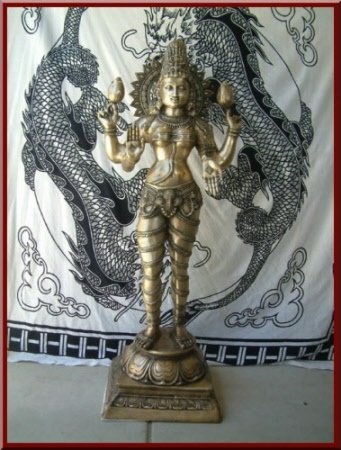 Beautiful Lakshmi - Cast in India using the "Lost Wax Process" handed down by generations of Indian craftsmen & women. 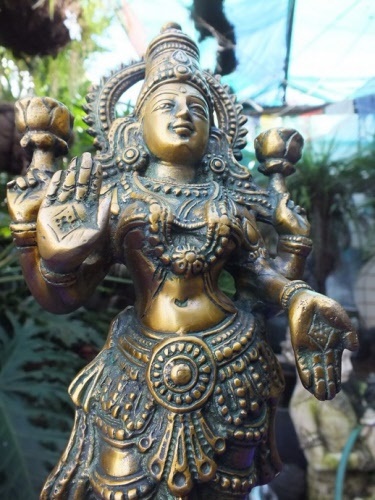 Here she is standing and cast in an antique green finish. 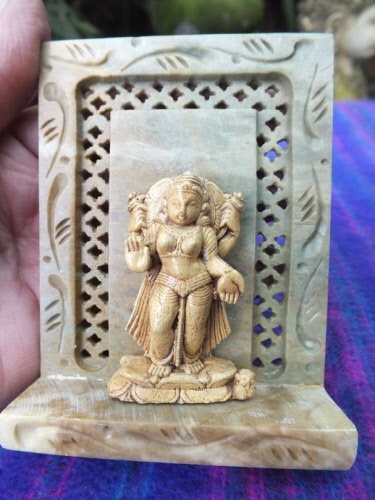 Beautiful little hand carved stone shrine for Lakshmi. 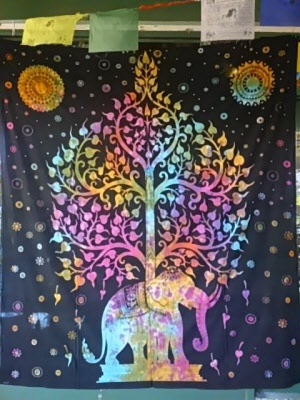 Glue it to your wall or door or anywhere you wish. 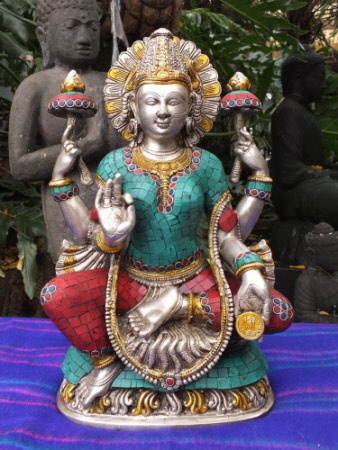 Lakshmi, Hindu Goddess of wealth and beauty. Lakshmi or sometimes Laxmi, is the Hindu Goddess of Wealth and Beauty. 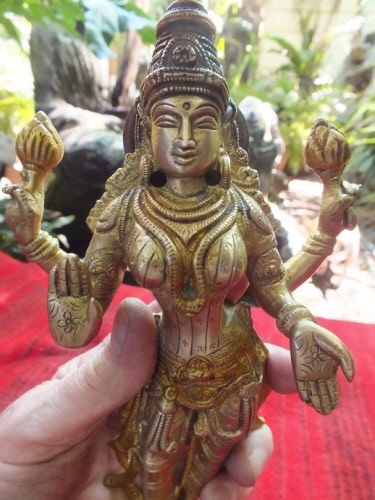 She is cast in brass with great care in India. 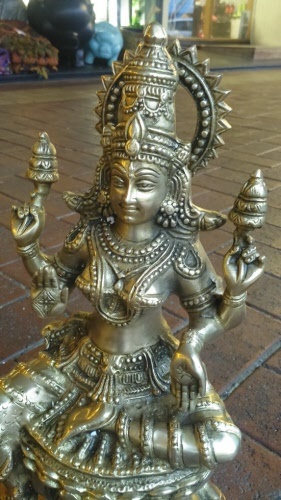 In this sculpture she has an owl by her feet. 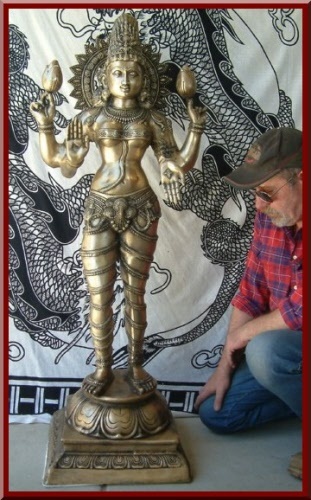 An exquisite brass statue cast in India. The wonderful Lakshmi, Hindu Goddess of Wealth and Beauty she has four arms and is seated on a double lotus..